Quality Interior Finishing’s started their services in Stoughton Massachusetts. 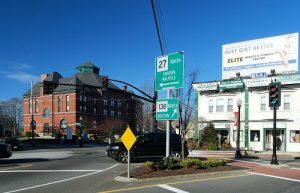 Stoughton brings a friendly town where we have established our business. With an estimated 28,000 residents in the town. It has one of the best education in Massachusetts, so you can imagine why this town’s population is growing increasingly fast, and we understand that residents need our services. If you are looking for an efficient but professional team who can turn your work into a dream interior you have always wanted then check out some of our services below! We consider the Kitchen the heart of the home and if you are looking for an upgrade, our team at Quality Interior Finishing will be there to assist you with your ideas and create the Kitchen of your dreams. We make sure you are truly satisfied with your brand-new Kitchen before we finish up. Quality Interior Finishing understands that renovating or remodeling a bathroom the takes time to get everything right. When we start our work, we offer and guarantee you a quality workmanship. Once, we have finished your bathroom, not only would it look amazing but will also increase the value of your home. Are there signs that your floor needs new flooring? No matter what type of job it may be, Quality Interior Finishing will make sure the job is done properly without any hesitation. We make sure when your floors are installed, it will bring a breath of fresh air to the entire household and a lasting quality for many years to come. For more information about Quality Interior Finishing please feel free to reach out. We can be contacted over the phone at (781) 344-2433 or through our online contact form.